Kasey Lum comes from a background of motion graphics and design. He jumped into the world of filmmaking in 2014, working with Cycle Media as an assistant editor for 2 years. 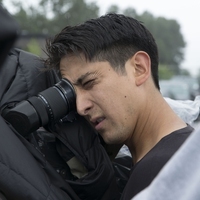 In 2016 he left Cycle Media to pursue directing commercial work. Since then he's directed for clients such as Okanagan Spring Brewery, BC Cancer Foundation, Sympli, Alo House, Go Auto, and Herschel as well as musical acts like Felix Cartal and Ackee Tecumseh. Kasey sees the important relationship between music, imagery and pacing. He likes to draw an emotion using classical ways of setting up shots but isn't afraid of running with a camera when the idea calls for it. His stunning demo reel showcases jaw-dropping samples of his dramatic visual look, shaping his subjects in interesting ways and pushing conventional compositions. Is This the Most Beautiful Ad Ever Made About Addiction?